While the first panel of this two-panel hearing included testimony by Kathy Kraninger, Director of the Consumer Financial Protection Bureau (CFPB), the second panel focused on a discussion on the draft of legislation titled Consumers First Act that was introduced by Chairwoman Maxine Waters and co-sponsored by 28 members of the committee. The second panel included testimonies from Hilary Shelton, Director & SVP for Advocacy and Policy, National Association for the Advancement of Colored People; Linda Jun, Senior Policy Counsel, Americans for Financial Reform; Jennifer Davis, Government Relations Deputy Director, National Military Family Association; Seth Frontman, Executive Director, Student Borrower Protection Center; and Scott Weltman, Managing Shareholder, Weltman, Weinberg & Reis Co., L.P.A. She questioned Kraninger, about the agency’s commitment to addressing these concerns. “The Committee does not believe Kraninger is doing enough to foster transparency and accountability or to change issues raised during her predecessor, Mick Mulvaney’s 13-month tenure,” Waters said. Some of the key questions asked of Kraninger by the committee during the hearing focused on consumer complaints, supervision and enforcement of the bureau staff, fair lending enforcement, staff diversity, and spending. 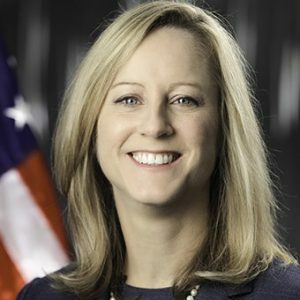 On being asked how her relations with the White House influenced her decisions at the bureau, Kraninger maintained her decisions were not influenced and nor had the administration attempted to influence the CFPB. During her recent three month tour, Kraninger said that she had spoken with lenders and consumers “on the ground” and had a strong argument in defense of her initiatives and the Bureau’s ability to protect consumers, stating, “the Bureau is stronger at this time, not weaker” and that it was on the right track. Kraninger defended claims that sufficient efforts were not being made to police predatory lending.